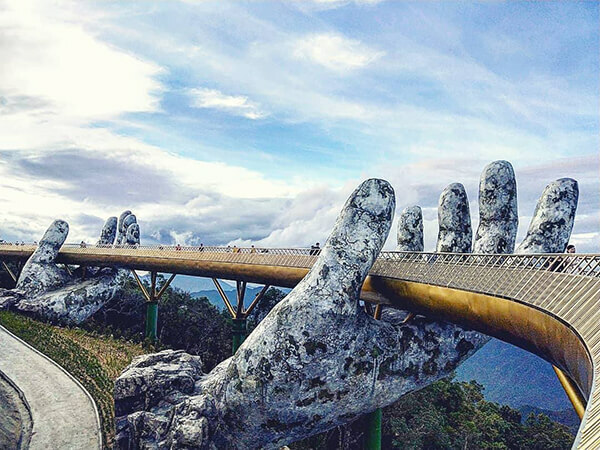 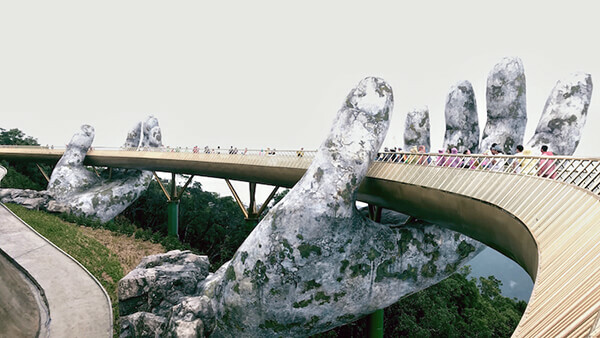 To bring more visitors to the Bà Nà Hills mountain area which is just outside of the city of Da Nang, Vietnam, the goverment built this 500-foot bridge rests in two outstretched palms. 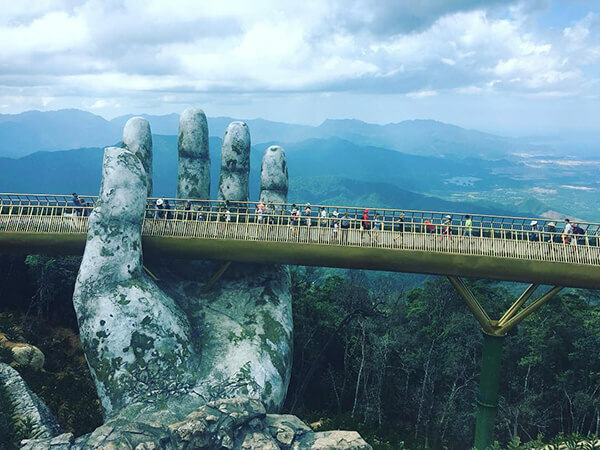 The palms have been weathered with cracks and moss to give the appearance of age and the golden bridge is seemingly suspended in the air by a pair of giant hands that lift it toward the heavens. 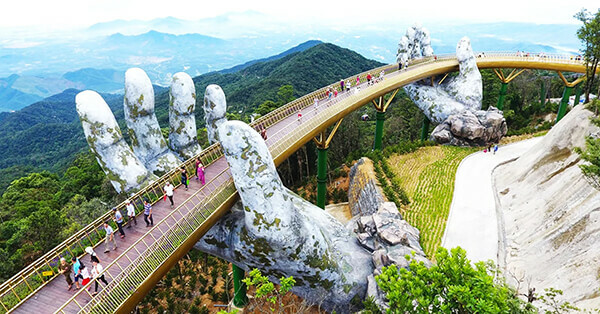 The bridge is suspended almost 4,600 feet above sea level and its path is lined with purple Lobelia Chrysanthemums to give a punch of color. 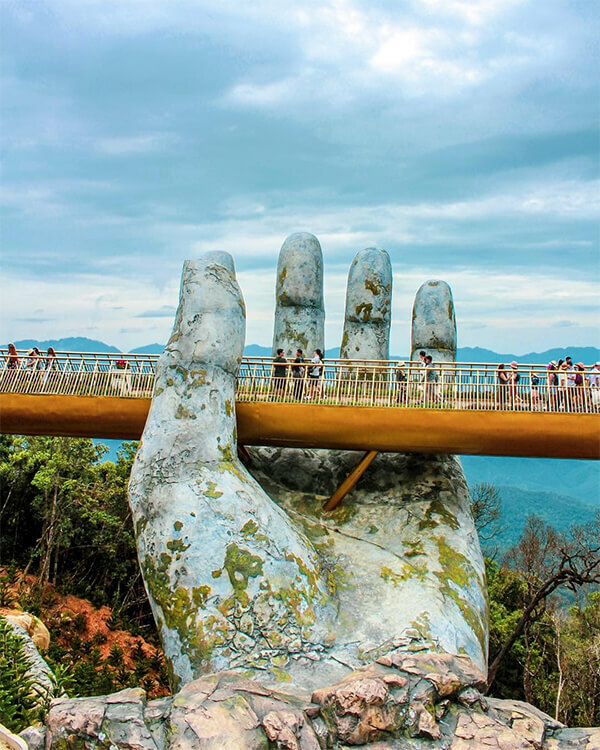 Now, the 1.5 million visitors that flock to Bà Nà Hills will be able to take in this new attraction, which adds to their impressive list of sites.